What motivates a child with a Server gift is helping someone else. Parents can see this from the toddler stage of childhood. Many children quickly identify with being “Mom or Dad’s helper.” They willingly comply in putting items in the trash or picking up toys when told it will “help” make the room clean. They are usually the first to lend a hand and show their loyalty in actions rather than words. 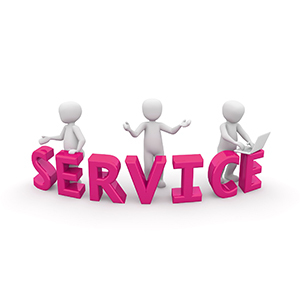 Servers love to assist rather than lead out in the forefront. Perhaps this is why they tend to have quiet, happily obedient, and reserved personalities. Do not mistake this for being uninterested. These children are high-energy and see their value as working efficiently, staying on task, and completing a job. Servers identify strongly with what they “do” and if their help is rejected, they may feel personally rejected. Server children are self-starters. As they mature, they will be quick to see when something needs to be done. As parents we can encourage them at home to take the initiative (when the task is safe and appropriate). They tend to be organized and neat compared to children with different gifts and thrive on routine tasks. Routine tasks reinforce the feeling of safety, achievement, and approval for the Server. Children with a serving gift are naturally cooperative. In school or social settings, Server children prefer to work in subgroups as a team. This is more comfortable for them than competing with the more aggressive speaking gifts of Perceiver, Teacher, Encourager, or Ruler.